Post news Report RSS	0.5.4 released! Alpha 0.5.4 released. 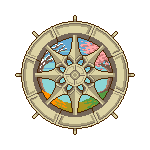 Important features: new logo, minimap, live scrolling, full screen support, higher resolution support, calendar / date support, and more. 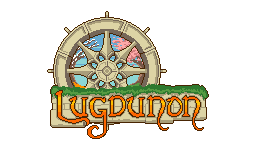 Lugdunon received a new and much improved logo and sunwheel emblem during this release cycle. They are the result of the hard work of very talented JaytheRobot. The level data (terrain, elevation, placeable items) transport system underwent a major overhaul (in some places a complete rewrite) this past week. This was all undertaken in order to deliver the the two most important features of this update, minimaps and live scrolling. A minimap implementation has been one of the most requested features, and the wait is finally over. The minimap frame can be toggled via the ']' key and freely repositioned. Two configuration options (available via the gear button in the top right of the minimap frame's title bar) are currently implemented: you can alter the zoom level via the provided slider, and toggle the visible screen rect indicator. A simple API is in place for adding and removing map pins. The default implementation provides support for displaying your location as a green diamond, your current target as a dot, and any quest related locations display with their appropriate quest status icon. Finally, the minimap leverages the new calendar / date feature to show the current lunar phase, date, and time in the minimap frame's title bar. One of the other oft requested features has been the ability to pan the screen with the main character's movements. Full screen mode and support for resolutions up to 1920x1080 make their debut in 0.5.4. Full screen support is toggled via the '\' key. Also, if you complete a game session while in full screen mode, you will be asked if you wish to resume play in full screen mode on the next session. Higher resolutions, up to 1920x1080, are now also supported. In addition, resizing your screen no longer requires a client reload and can be done at any time. Also, when in windowed mode, drag-resizing the browser window will now cause the content to lay itself out properly. The passage of time has now become much more interesting! 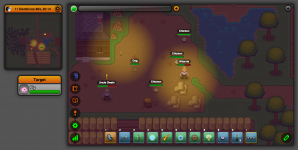 Lugdunon is now capable of tracking time in days, months, and years. The default calendar implementation is a simplified implementation of the Gaulish Coligny calendar, which is a lunasolar calendar. In order to simplify the implementation, years consist of 12 months, each containing 28 days. 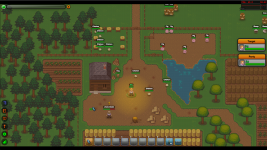 This leads to a year length of exactly 336 days in the default world of Lugdunon. Each month starts and ends in sync with the lunar phase. The calendar API supports the discovery of not only the date and time but also the current lunar phase, checks to see if the current date falls on a solstice or equinox, and the sunset / sunrise times for a particular date. Support for festival days will be coming in a future update. Further, a flexible mod API is in place to allow developers to replace the default calendar implementation with one of their choosing. The ability to replace a set string in a console command with the value of a particular variable is now supported via the net.lugdunon.command.core.console.parameters.IParameterFilter server API. %t - Replaced with the player's target's name. %gm - Replaced with the player's gender specific pronoun (him/her). %gpm - Replaced with the player's gender specific possessive pronoun (his/hers). %gt - Replaced with the player's target's gender specific pronoun (him/her). %gpt - Replaced with the player's target's gender specific possessive pronoun (his/hers). Tool use animations for hammer, hoe, scythe, and shovel were finally added. Now you can show off all those tools! guys got a twitter feed?